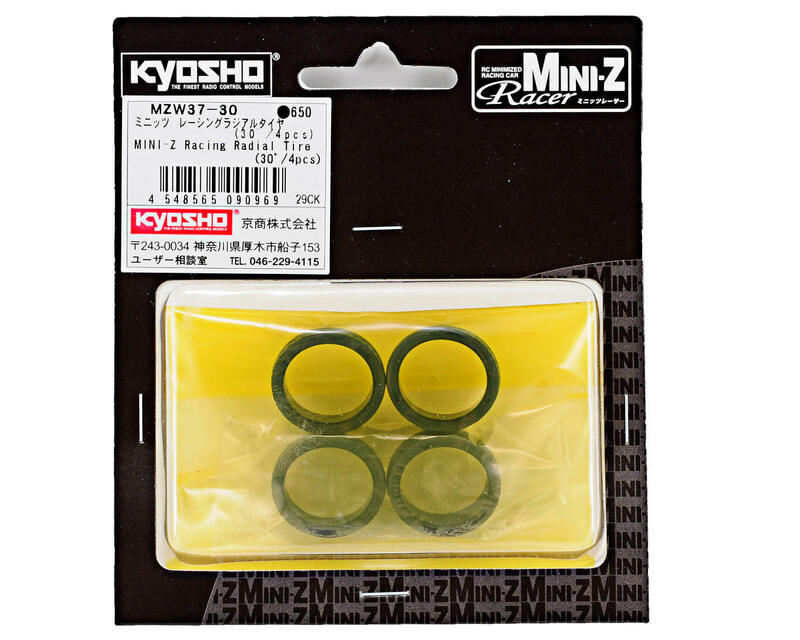 This is a set of four Kyosho 8.5mm Racing Radial Tires. These radial tires are used with the Mini-Z Racer series kits, and feature a special patterned edge that is effective on both urethane and carpet surfaces. Specific left and right sides feature a directional pattern and the durometer hardness rating is etched on the inside of the tire. Choose from 20, 30 or 40 Shore compounds (softest to hardest). Use different compounds to tune the level of traction for various track conditions; softer when you need more grip and harder when you want less grip. These tires must be used with 8.5mm wide wheels. 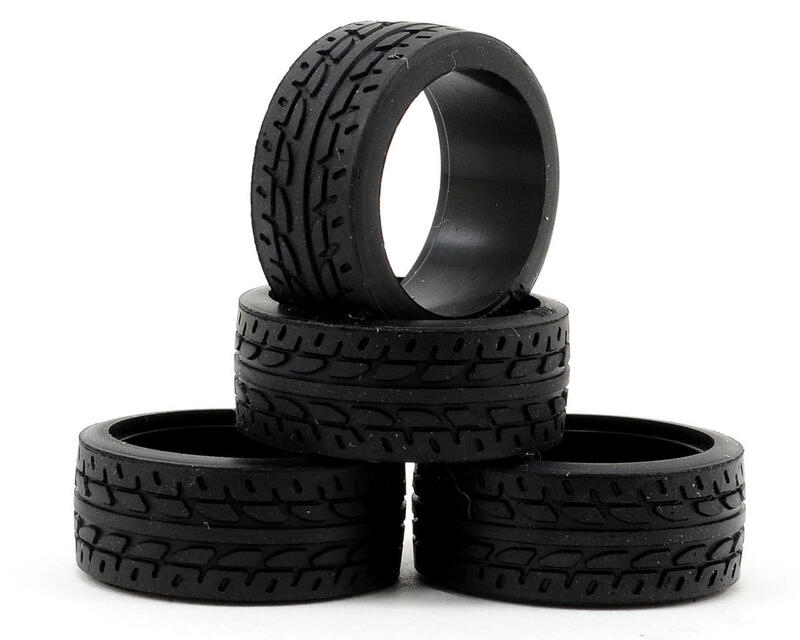 An awesome mini tire that provide lots a grip and are really easy to install just Peel the old tires off and put these new ones on glue isn't even required just let them on and rip the track I have them on my four-wheel-drive mini z and it handles like a cat . Can't go wrong .